The Commission for Clergy is constituted by the Major Archbishop with the office at Mount St. Thomas. 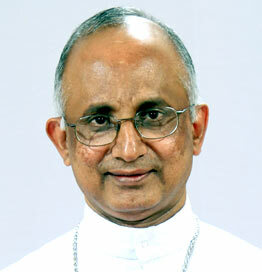 It is under the Authority and Jurisdiction of the Major Archbishop of the Syro Malabar Church and with the consent of the Synod of the Bishops of the Syro Malabar church. 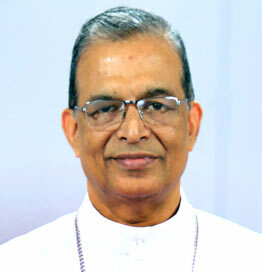 The Synod of the Syro-Malabar Church has requested the commission to conduct training programs and spiritual enrichment programs for the priests and religious with a view of fostering better harmony and unity in the Church. The Commission organizes programs for the priests and the religious in order to give ongoing formation in their pastoral ministry and religious life. The commission aims to empower in their consecrated life, to revitalize in the pastoral and missionary activities and to foster unity in the church. The Get together of the New Priests of the Syro Malabar Church both diocesan and religious to be conducted at Mount St.Thomas. The aim of the Gathering was to foster unity in the Church as well as to introduce them to the pastoral and missionary ministry of the Syro Malabar Church. Conference for all the diocesan priests of the Syro-Malabar Church in the Major Archiepiscopal level to give ongoing formation to the priests as well as to revitalize them spiritually. Consultation meeting of the Vicars General, Finance Officers, Chancellors, Secretaries of the Presbyteral Council. A meeting of the Major Superiors of the Men Religious and the Women Religious. 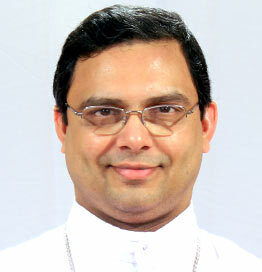 The Meeting is intended to find ways and means to face the challenges of the Religious and Priestly life. Another get together of the Sacerdotal Silver Jubilarians of the Syro-Malabar Diocesan Priests.The Gathering aims to revitalize them in their pastoral ministry and to foster unity in the Church. Conference of the Diocesan representatives to find means to foster unity in the Church. Redrafting of the Directory on the Life and Ministry of the Priests. As per the direction of the Synod the commission for Clergy and Institutes of the Consecrated Life is redrafting the Directory on the Ministry and Life of the Priests. The Directory is intended to give clear guidelines on the identity, spirituality and ongoing formation of the Syro-Malabar priests. Publication of the Charter of the Priestly Formation.